Purple Beech (Fagus sylvatica Purpurea) hedging has wonderful red spring foliage that turns deep purple/green in summer and then bronzed-brown in autumn. Purple Beech hedges hold their bronze winter foliage, sometimes right until new leaves emerge and give year round screening. 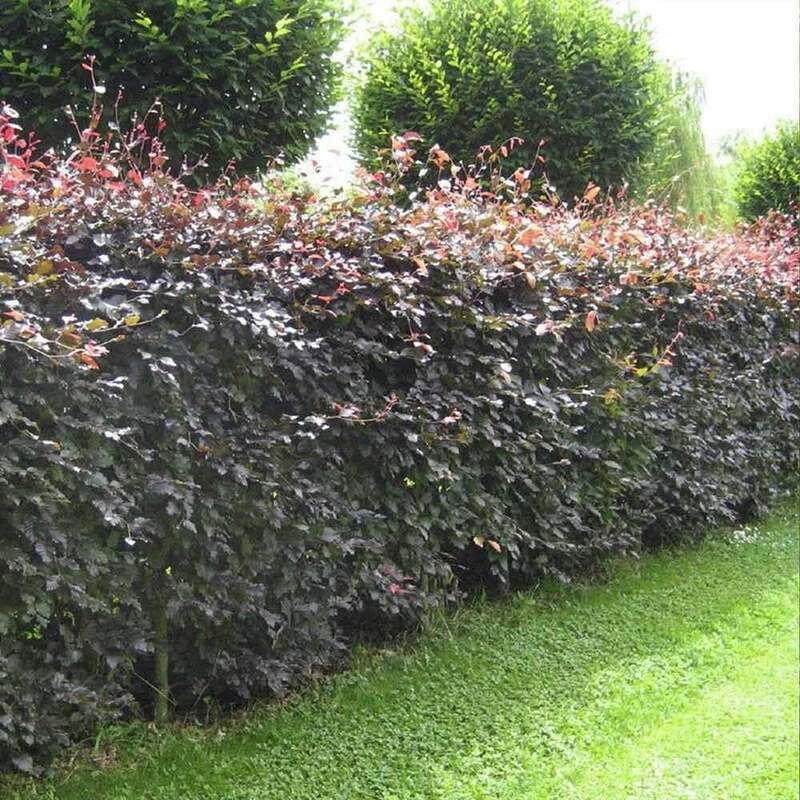 It is this that makes it such a popular hedging plant. Fagus sylvatica Purpurea hedging is suited to all but wet soils and can tolerate exposed sites. Plant in full sun for the very best colour. Please note delivery charge is already included with our bulk pack deals.